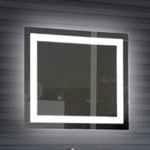 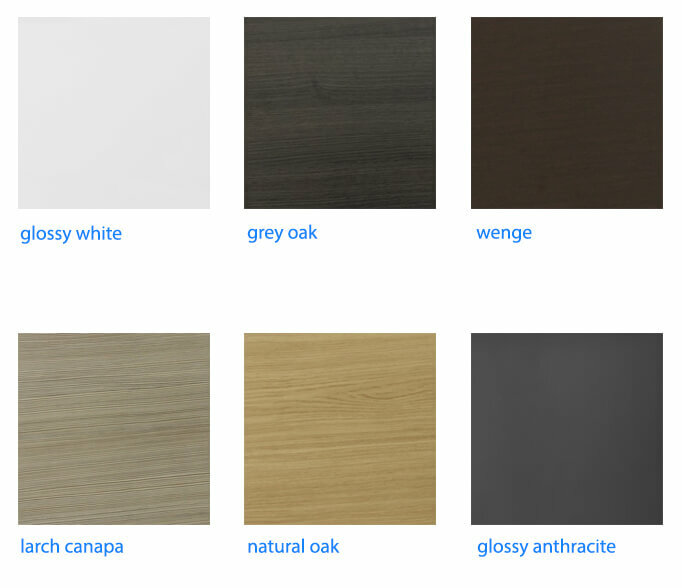 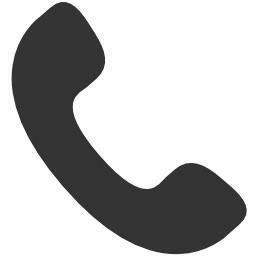 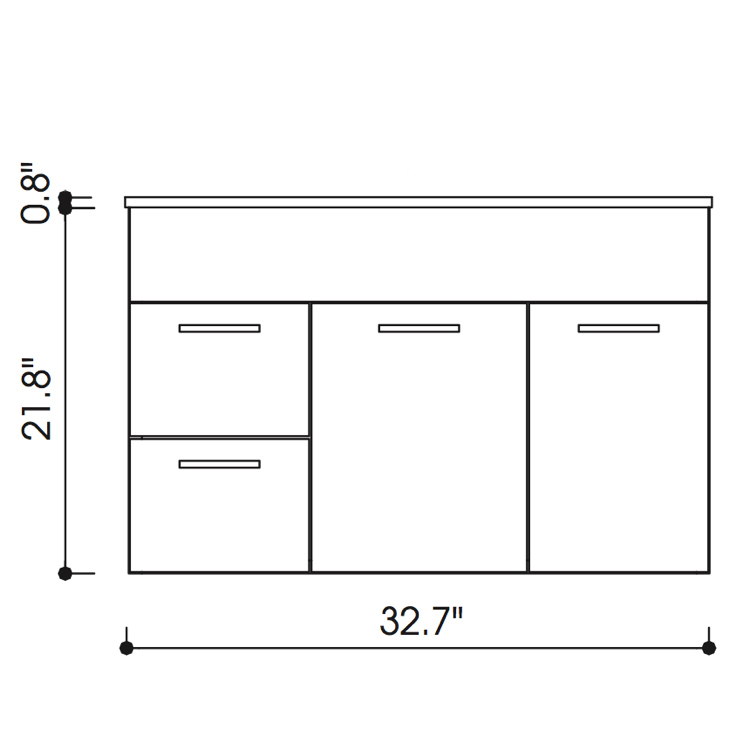 This cabinet was fairly simple to install and the quality is excellent. 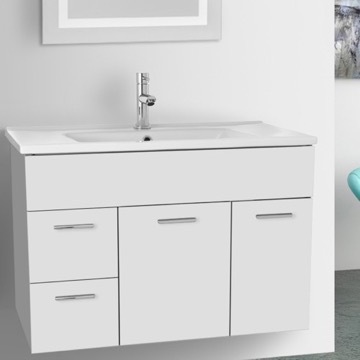 The sink fits perfectly and looks beautiful. 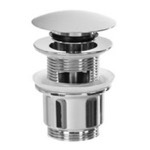 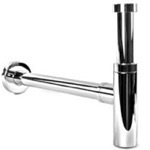 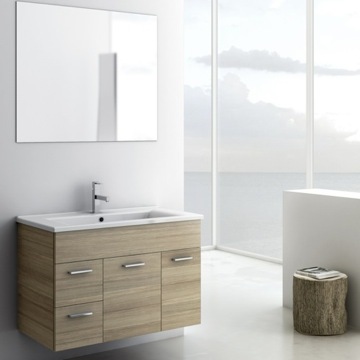 We will be ordering another for our second bathroom remodel soon. 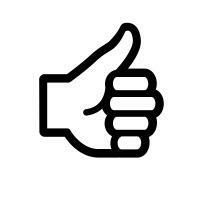 Delivery was quick and packing was amazing! 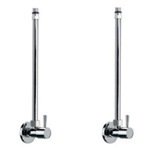 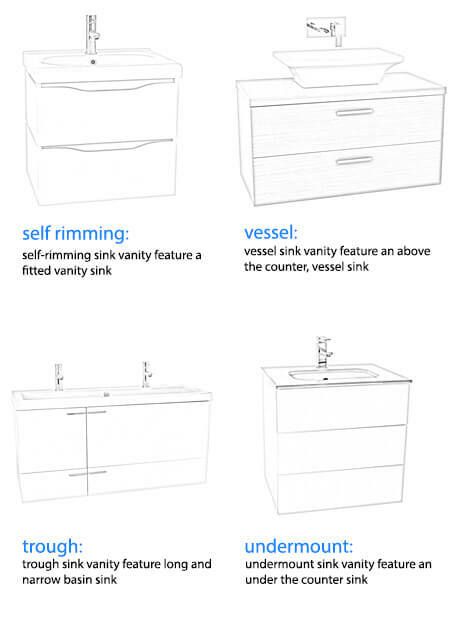 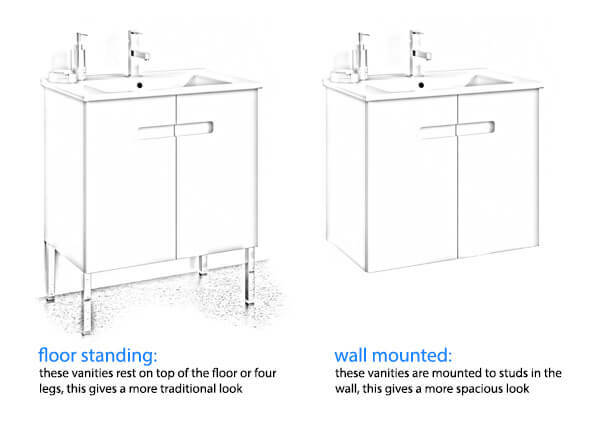 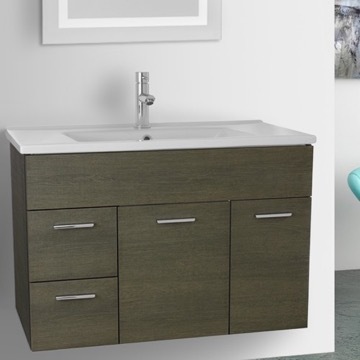 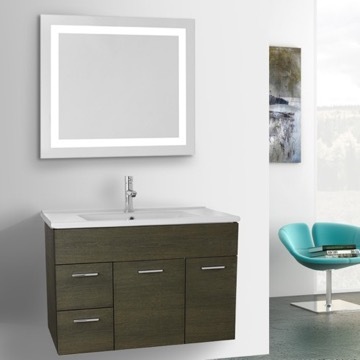 If I purchase the chrome legs, can the vanity be freestanding or does it have to be wallmounted? 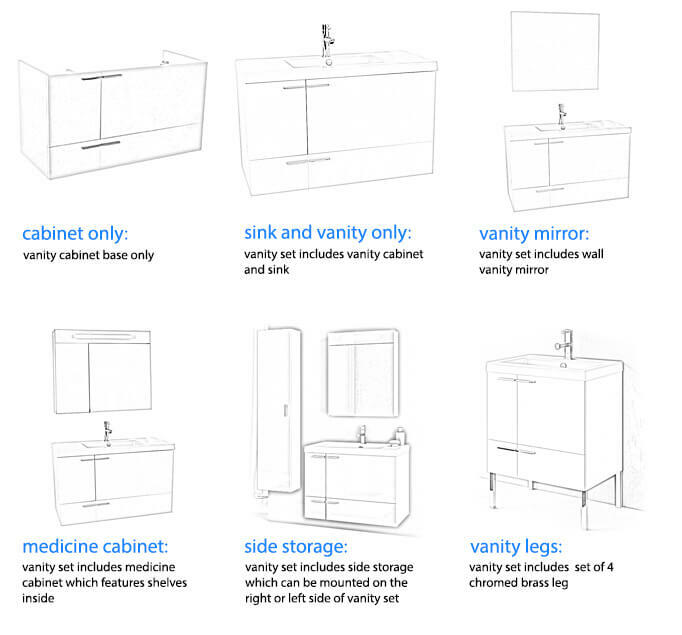 We need a freestanding vanity. 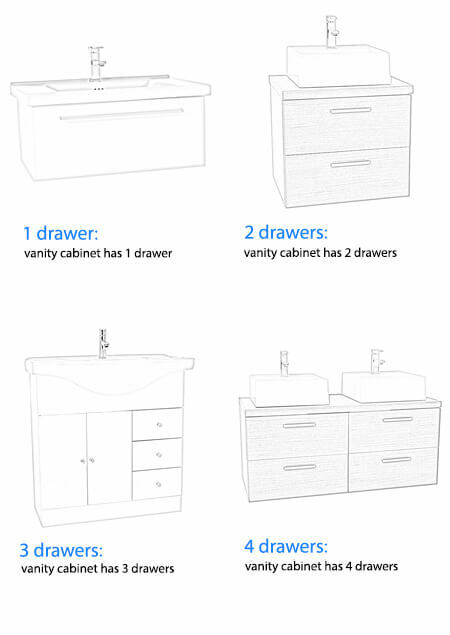 Does the vanity come with the drawers on the right side? 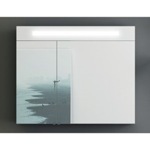 Unfortunately, this collection only comes as configured in the photos. 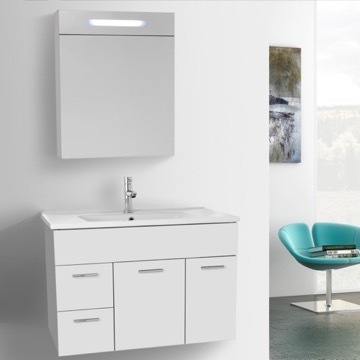 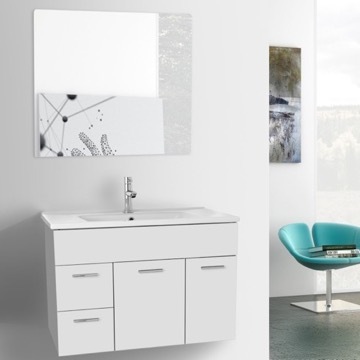 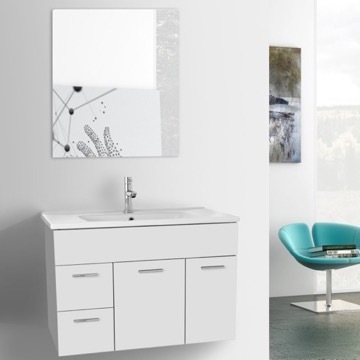 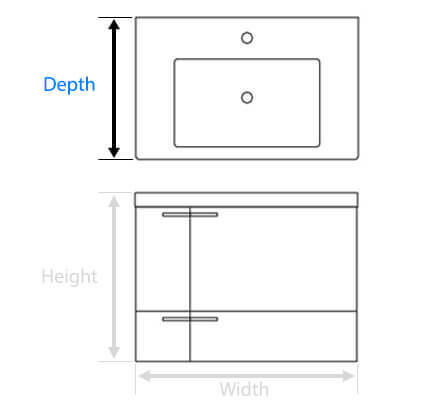 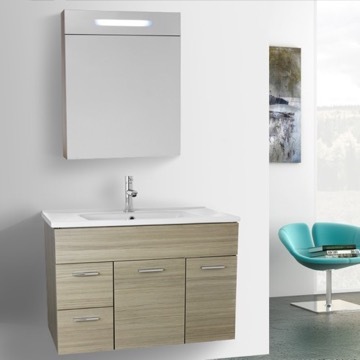 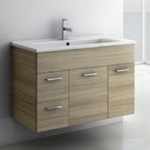 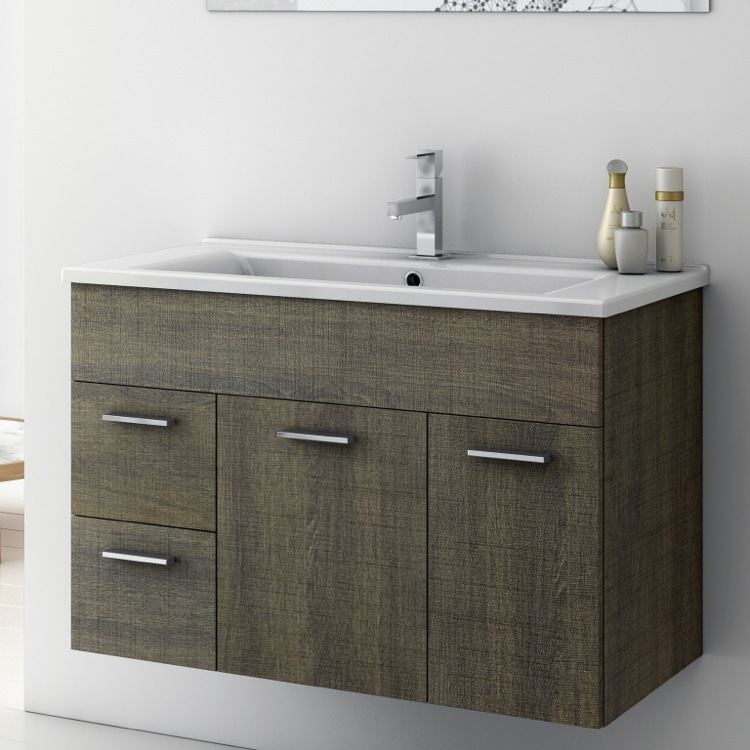 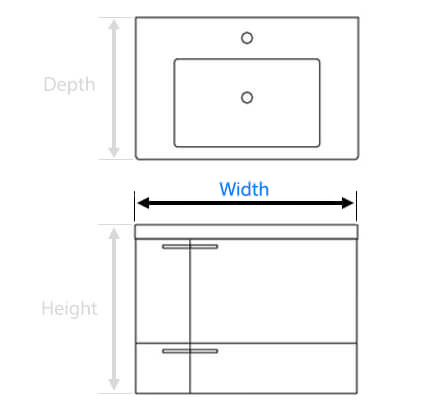 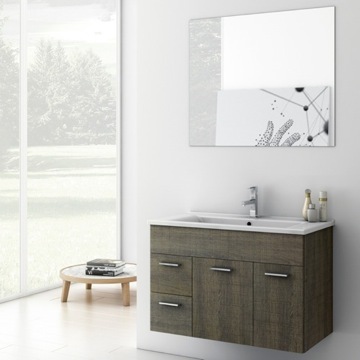 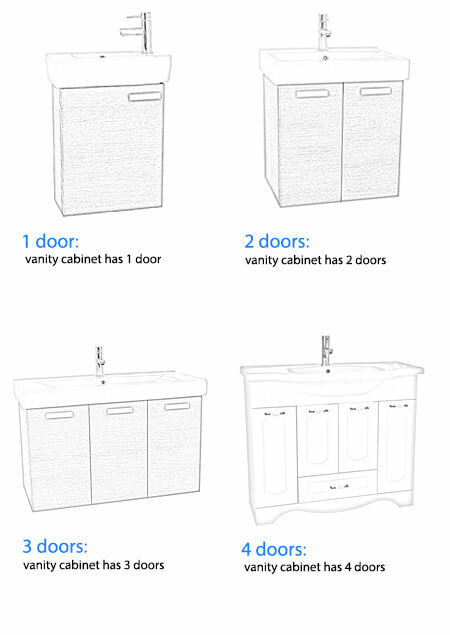 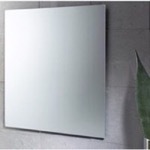 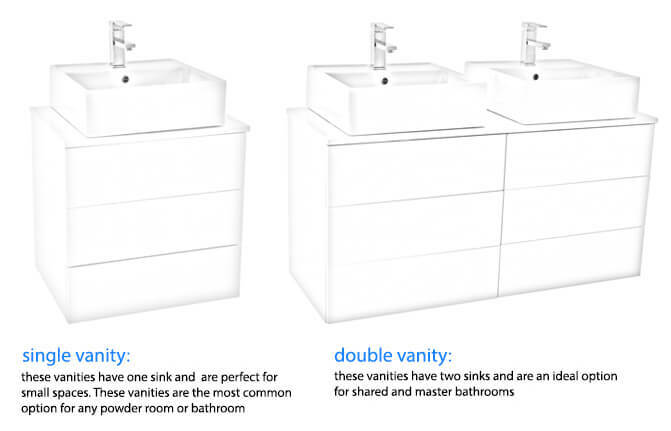 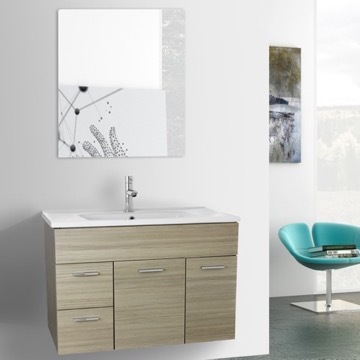 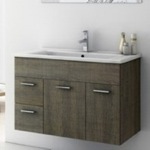 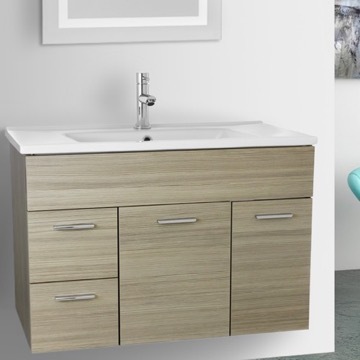 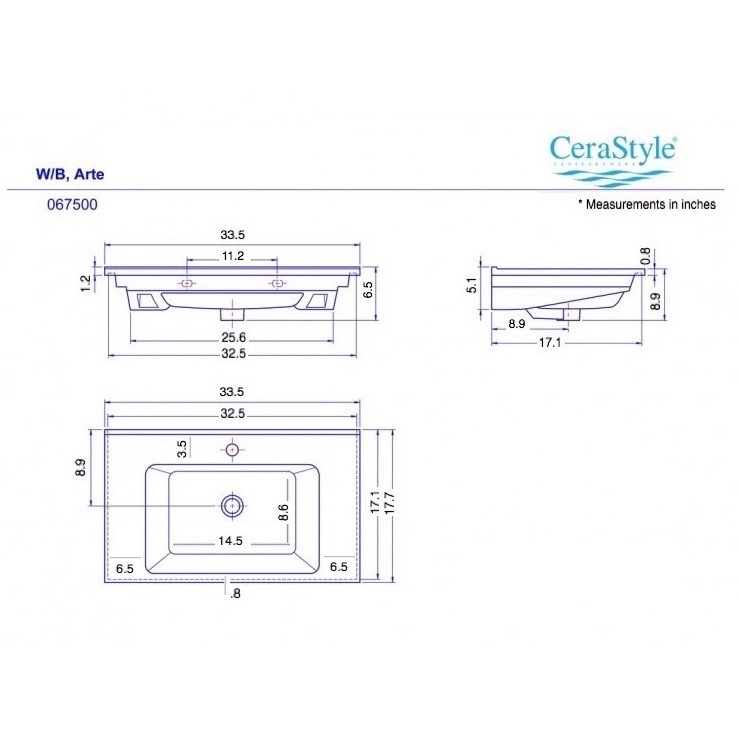 We do have a similarly styled vanity from a different manufacturer, LE3C that has the drawers on the right hand side.